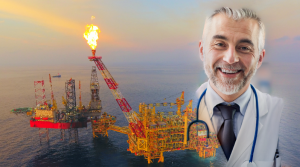 16 Nov Oil and Gas Business Value comes from a Doctor not a Data Scientist? It has long been understood, the value of Predictive Analytics (PdA) that can bring to the Asset Management world of Oil and Gas and Shipping. Indeed, a number of enterprises are forging ahead with strategic initiatives to develop and implement these technologies, some with greater success than others. We have discussed on previous blogs the limitations of Predictive Analytics and to be clear when we allude to Predictive Analytics, we are referring to Machine Learning technologies with respect to obtaining data on failures that matter. We emphasize “on failures that matter” because we invariably have masses of data for failures that really do not matter. By this we mean, a proactive maintenance task will already be in place to avoid a critical failure with catastrophic consequences. Predictive Analytics: we think it is fair to say this type of approach represents the future of our industry in Oil and Gas and Maritime. There is a lot of work going on in this space to develop systems to anticipate failure based on health/condition. It is a common topic of discussion, which straddles ‘big data’ (people already have more data than they know what to do with) and ‘statistical analysis’. There are many sensors out there to capture data, many tools to make sense of it, and many systems to operate in real time….BUT, it is essential to understand what ‘failure’ you could be dealing with and what ‘symptoms’ would arise in the presence of that failure – this is often forgotten about when implementing health monitoring equipment and equally important, the expectation that data science can solve the Predictive Maintenance issue. However, data science alone cannot and will not provide the essential solutions for determining remaining useful life (RUL) of critical equipment for one. In the absence of knowing the physics of failure development, there is no amount of analysis of one data point that could predict the RUL as you can see from the linked article by clicking here. How many failure records would be needed is an interesting question. One record in the learning data set is just about never enough. For a classification that is hit-you-between-the-eyes-obvious, perhaps 30-50. For subtle patterns in the presence of a lot of noise, hundreds, thousands or more. It’s no coincidence that ML and Big Data are so closely related, or that ML algorithms–which had existed for decades–really only came into their own when computer systems had the power to collect, store and process millions or billions of records. So, if we are to provide accurate prognosis we should be looking into the physics of failure first and foremost and not necessarily data science alone. All that most ML does: it looks for correlations in data and expresses them as a series of functions. The business case to develop digital transformation will struggle due to this problem. All ML is doing is looking for patterns to provide insights and these insights may indeed not be worth much to the business. However, if we look at the physics of failure – and how to eliminate or mitigate these – this is where the solution lies. Critical equipment/system failure can have significant consequences to any organisation from fatalities to economic impact to corporate litigation. At RELMAR, we have solutions that gets to work from DAY 1 and not only that we do have the benefit of providing Machine Learning technologies where it provides most value. Machine Learning solves only a small part of the problem. To apply this effectively though, we must have a clear understanding of what we are trying to prognose – in the case of humans the best tool that we have is a Doctor. In this case we have RELMAR that has options to choose from, being cognizant of the time and resources enterprises can allocate to particular business initiatives.